Donald Trump laid into the CNN star -- the latest in a long history of fiery run-ins between the pair -- after Acosta refused Trump's orders to sit down and give up the microphone during a press conference. 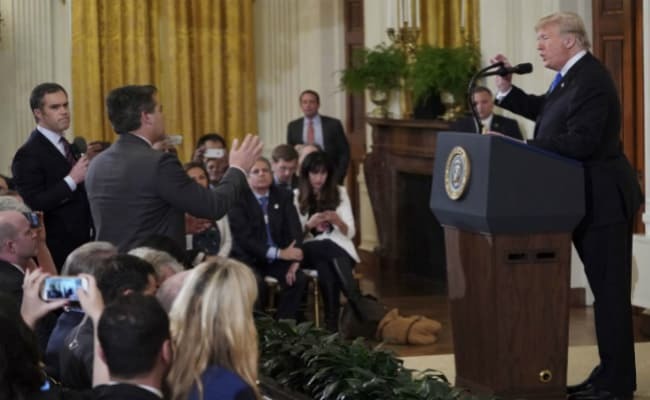 A visibly angry President Donald Trump branded CNN's White House correspondent Jim Acosta a "rude, terrible person" and an "enemy of the people" in a testy exchange on national television Wednesday the day after America's midterm elections. Trump laid into the CNN star -- the latest in a long history of fiery run-ins between the pair -- after Acosta refused Trump's orders to sit down and give up the microphone during a press conference. Trump appeared ready to walk out as Acosta clung to the microphone and persisted with questions about the president's views on a caravan of Central American migrants making its way to the US border. When asked if he had "demonized immigrants" during the midterms campaign, Trump replied: "No, I want them to come into the country. But they have to come in legally." 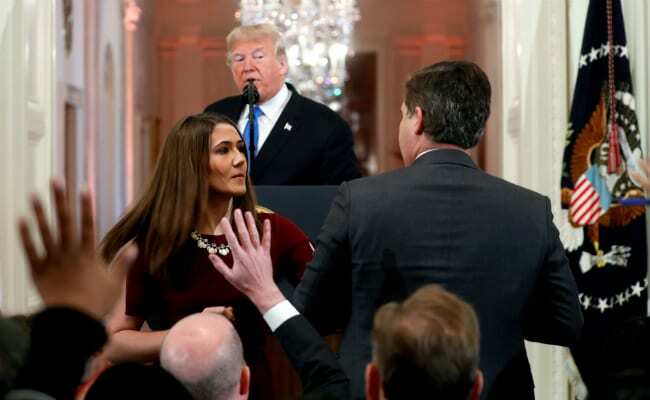 CNN responded to Donald Trump saying his attacks on the press were not only dangerous but also "disturbingly un-American"
An aide attempted to grab the microphone from Acosta, who nevertheless tried to shout out one last question. In a statement, CNN called out Trump. "This president's ongoing attacks on the press have gone too far. They are not only dangerous, they are disturbingly un-American," the network said, voicing its support for Acosta and "journalists everywhere."